Twelve months ago, my 2012 Challenge was filled with hope – ” I hope I am healthy.” Happily, in the end, 2012 ended up being the most I have ever climbed on a bike, and a truly fabulous year. This should keep me hopping. Alternate sides count, but repeats don’t. I don’t have an exact number, but I was somewhere approaching 200 in 2012. In 2013, I will re-visit the usual fun stuff near me, and continue to search out new stuff a little further a field. 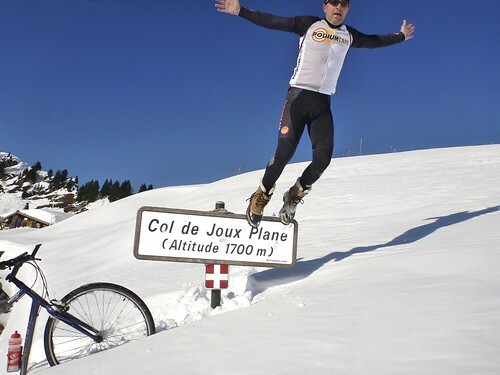 As usual, I’ll generally use a road bike, but I also hope to continue finding new, high altitude, non-paved climbs, that I enjoyed so much in 2012. I’ll try to get above 3000 metres again, at least once. I was going to make the target 200, but I don’t want a silly number to dissuade me from cross-country skiing, hiking, or huge climbs with only a single col.
We’ll see. Possibly one or two, but maybe none. 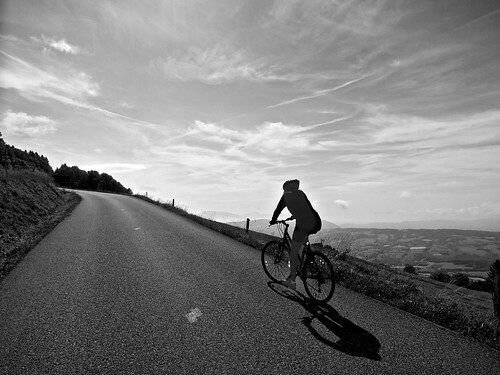 One of my few cycling skills is finding and enjoying super quiet roads – often more fun than riding with the masses. Plus my horrendous descending skills usually put half the peloton at risk. We lost the Maratona dles Dolomites lottery again, bah – this is the one big Cyclosportive I’d gladly ride again. 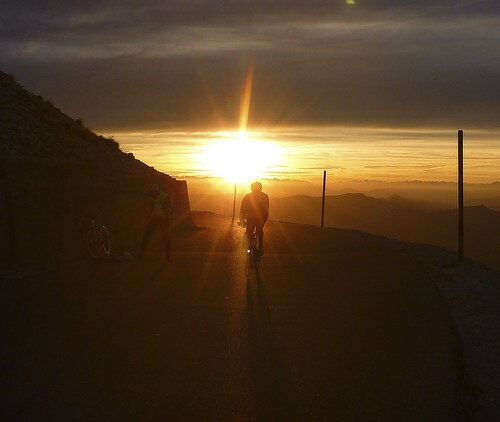 However, me and the St. Etienne boys have registered for Ventoux Night Sessions again. We participated in 2011 and it was perhaps the funnest organized event I have ever ridden. I especially need to convince my Belgian Domestique, Eric, to occasionally neglect his beautiful new daughter and ride with me again. 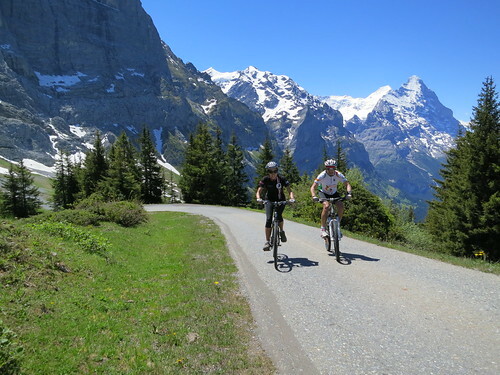 It looks likely that Jens will visit the Alps from Sweden again (! ), and I am certain I’ll be riding with the boys from St. Etienne a few times. I have tentative “plans” with a few other people – should be fun. 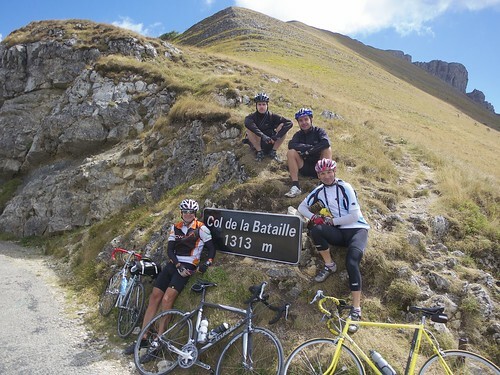 If you like my blog, my friends Bastien and Simon – serious Col hunters – have a great web site – Cycols – that you will love. Even if you don’t speak French, go visit for the fabulous photos and routes (Central Massif, Juras, Alps, Pyrenées, etc.). I have been informed that Doreen has her own 2013 Cycling Challenge: To train for a week touring in Italy (location to-be-determined). In Summary: Have a happy, healthy, and of course, challenging new year! Here’s to good health and no injuries in 2013 and beyond!!! I believe that 2012 has been your most amazing cycling year so far indeed. You have surpassed yourself in all ways and have done lots of amazing rides. I don’t think I will be able to resist the call from the bike any longer in 2013, so I say absolutely yes to your very kind invitation. Happy New Year! I’ll make sure that Eric finds the time for rides with you (like the old times). Hopefully you can squeeze in a few easier rides as well so that I may try to get my cycling legs back too! Thanks guys, look forward to riding with all of you. I hope you are settling in OK to Geneva. Will, tu peux évidemment compter sur moi pour toutes les aventures cyclistes, de jour comme de nuit. chaque sortie que l’on a pu faire tous ensemble cette année reste parmi mes meilleurs souvenirs! Encore de beaux objectifs, ça promet ! Vivement les prochains articles ! Bonne année à toi et ton Boss, et avec la grande forme pour atteindre tout ces objectifs. Nice blog and I am enjoying it. I am looking to do something in 2013 and looking for some inspiration. Certainly found it here and some great ideas. I’m looking for a 10 day trial in may. Well done on your achievements and good luck in 2013. If you fancy a change of scenery and some Irish weather come over here for a while and i will find you a few new “cols” to add to your list. Hope you stay injury free and continue with the great stories and cycles. I like Goal #5. 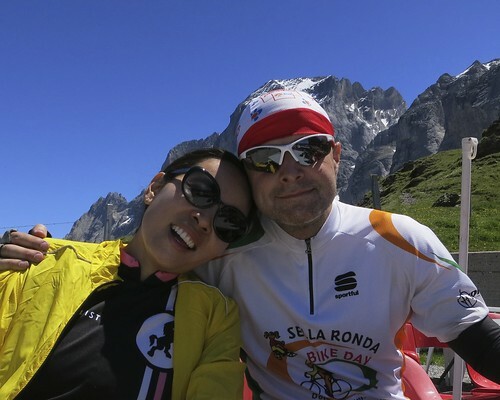 There is nothing better than having your partner in life sharing the experiences of bcycling. It certainly changes your perspective. The rides and tours Kim and I have taken together has created an immeasureable bond betwen us! A week in Italy huh? Be curious to hear what you decide on. My experiences in Italia lead me to believe that they intentionally look for the steepest routes up any hill or mountain. A group of us from Australia are planning to head towards the Dolomites for a week of riding in early July. Our time is limited and can probably only look at staying around the areas near to do the climbs of Stelvio, Mortirolo. We are wondering where best to base ourselves. Do you have any suggestions? Thanks for the tips. I think Bormio is a great base. It’s a very nice, historic village at the base of Stelvio and Passo Gavia. Note Gavia is far more interesting than Mortirolo, it’s beautiful, famous, and huge. 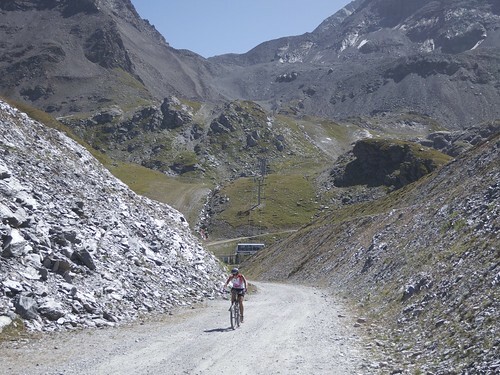 Also note, Bormio is the NOT the most famous side of Stelvio, but it is the side climbed by the Giro recently and to be climbed in the next Giro. A fantastic climb. Also the famous side of Mortirolo is down the valley from Bormio – much easier to reach than from the other side of Stelvio. If you are strong cyclists you can make a big Stelvio loop. Start in Bormio, climb up. Descend down the third side (it’s mainly in Switzerland. Take a lower road to the start of the famous side of Stelvio. Climb, and then descend to Bormio. Basically climbing the 2 Italian sides of Stelvio. Thanks Will for the tips. We will have to sit down to do some serious planning to get everything sorted. Time is limited so we want to capture as much as we can. Not sure if we can handle Stelvio twice in a day. Probably possible, but will be super tired at the end of the day. 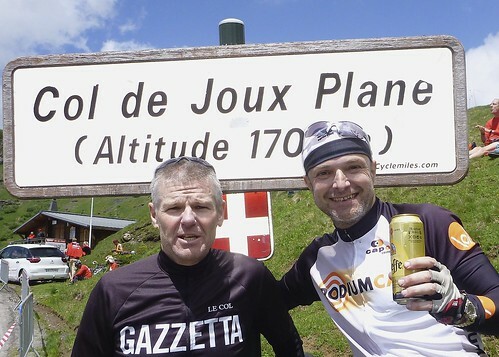 Our group has toured France last June/July and climbed the famous cols, each at our own pace, enjoying the whole journey up without killing ourselves. It was fantastic and I heard that Italy will be even better. Can’t wait. I might be posting more questions on your blog as we get deeper into our planning. 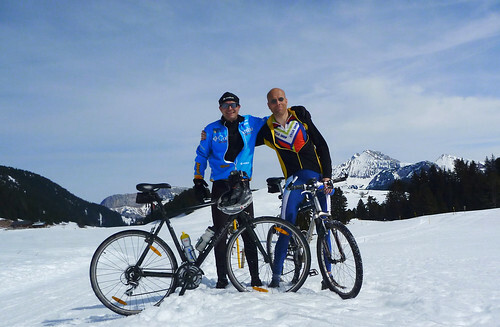 Wishing you all the best in 2013, with lots of great cycling experiences. 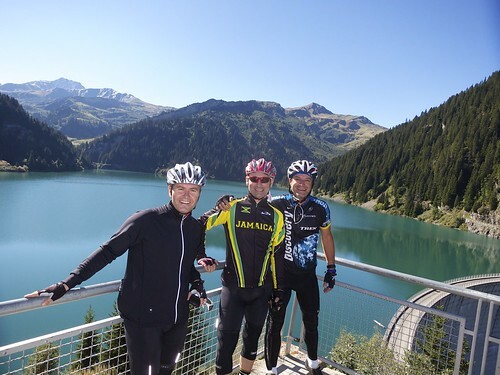 Last year my partner and I rode in France during the TDF and particularly loved the Alpes region. 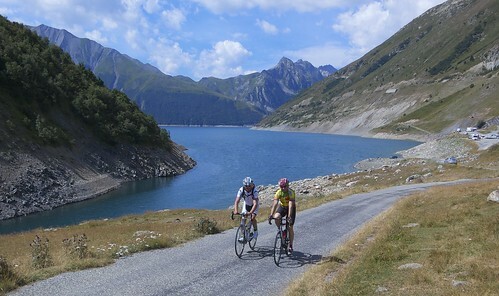 We want to do a mix of climbs and rolling countryside rides this year and thought to base ourselves in Annecy. A couple of queries, do you have any suggestions to help us sort through the huge range of accommodation ( we thought some sort of self catering apartment style accommodation) and would late Aug still be very busy? Or would Sept be better. Love reading about your rides, v inspirational. Sorry I don’t have any accommodation suggestions. September will be a lot quieter than August, but even in August, apart from the first few kms of the Annecy cycling path ….. it’s not bad crowd wise. Congrats on achievements of 2012 inspite of dodgy health start. Great blog. As being a “col-addict” myself, I enjoy every single one of your stories. Staying in Barcelonnette and Malaucene myself this summer. So, Allos, Cayolle, Bonette, Champs and Ventoux are on the menu. 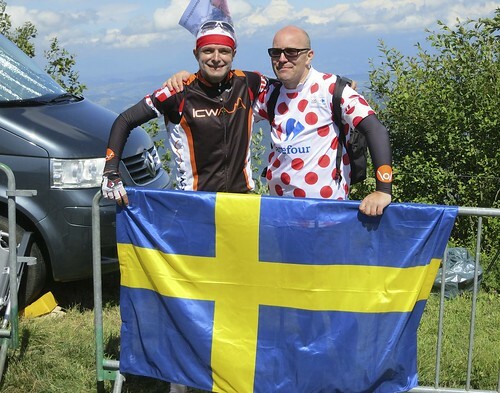 Are you a Cinglé du Ventoux and Félé du Grand Colombier ? 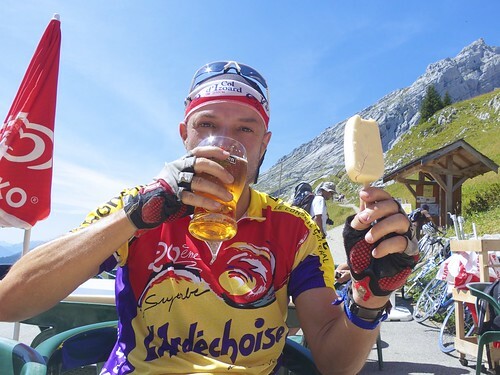 I adore your blog and am a great fan of your cycling challenges ! Cycling is my favorite sport and I try to jump on one of my three bikes to climb all sort of mountain roads whenever I have some spare time. Your blog is usually one of the websites which I consult before discovering a new pass. I live since twenty years in Pays de Gex, close to Geneva and would like to climb a maximum of alpine roads in this region. Do you live in Geneva? If yes, maybe we could meet one day to climb a mountain road together.